CBA Finance News | Since the Global Financial Crisis, jobs growth in the residential care services industry has left the mining industry for dust, according to the Commonwealth Bank. This is the first instalment of a regular series of articles by the Commonwealth Bank, who will be using their financial experts to provide news, insight and expert advice for Not for Profit organisations. The “patchwork economy” has emerged as the description of the economy that is currently in vogue and the Not for Profit residential care services industry appears to have left the mining industry for dust, according to the Commonwealth Bank. The Commonwealth Bank says there are always divergences in economic fortunes across and within regions and industries and Australia is currently focused on the booming mining industry. Flickr image by magnusvk via creative commons. One key measure of economic performance is the labour market outcomes. Industries that are expanding are likely to be hiring, those that are struggling are likely to be holding steady or losing jobs. When the Commonwealth Bank recently investigated industry job data it came across some surprising results. 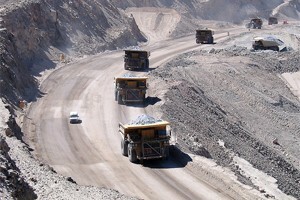 The mining sector, which represents 1.9% of the workforce, was growing strongly as expected. It has added more than 35,000 additional jobs over the year to May 2011. Since the GFC mining industry employment has grown at 19.2%. It also found another sector, similar in size to mining, which was growing strongly – residential care services. Residential care services accounts for 1.8% of jobs, and increased employment by 14,900 places over the year to May 2011. Since the GFC jobs growth in the residential care services industry has left the miners for dust, surging 38.4%! The Commonwealth says that unlike mining there are few claiming that the aged care sector is crowding out the rest of the economy, and pushing up interest rates. But it says the ‘patchwork’ isn’t just mining, or residential care services. Jobs growth has also surged in the sport and recreation activities sector (+18.4%), creative and performing arts activities (+9.4%), and food and beverage services (+4.1%). Whilst consumers have increased their saving, and may not be spending as much at the department stores, they are increasingly engaging in sports and cultural activities. The Commonwealth says this trend, along with strong growth in household income, suggests that households remain favourable prospects for donations and contributing. It also bodes well for the 16.2% of Not for Profits who operate in the culture and recreation space. The Commonwealth says the economy is experiencing significant change, which brings both challenges and opportunities for the Not for Profit sector and those who adapt quickly will find they are able to better deliver their services. Disclaimer: Important Disclosures and analyst certifications regarding subject companies are in the Disclosure and Disclaimer Appendix of this document and at www.research.commbank.com.au. This report is published, approved and distributed by Commonwealth Bank of Australia ABN 48 123 123 124 AFSL 234945.